Charlie had a fun day at home chewing up my brand new pair of Jack Rogers sandals…but he didn’t stop there, he chewed up the window sill too! 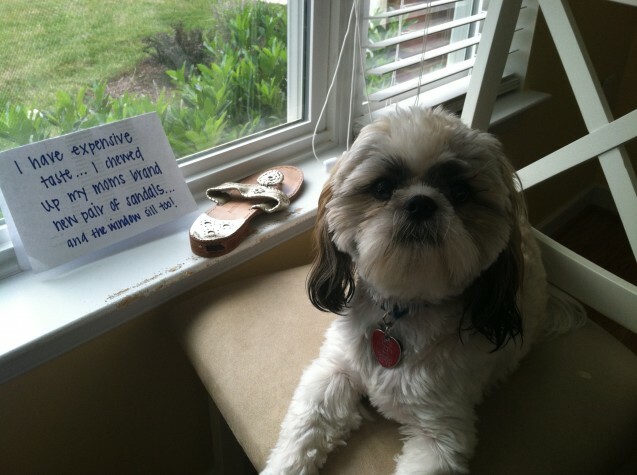 Caption: I have expensive taste…I chewed up my moms brand new pair of sandals…and the window sill too! Posted February 26th, 2014 . Well, they look still wearable. He probably has very tiny teeth, right? Anyway, too cute!